Natta Cosme has always been very thoughtful in terms of their products as well as their allocated presentation and distribution; which is why I am always delightfully surprised when their little packages reach the door. 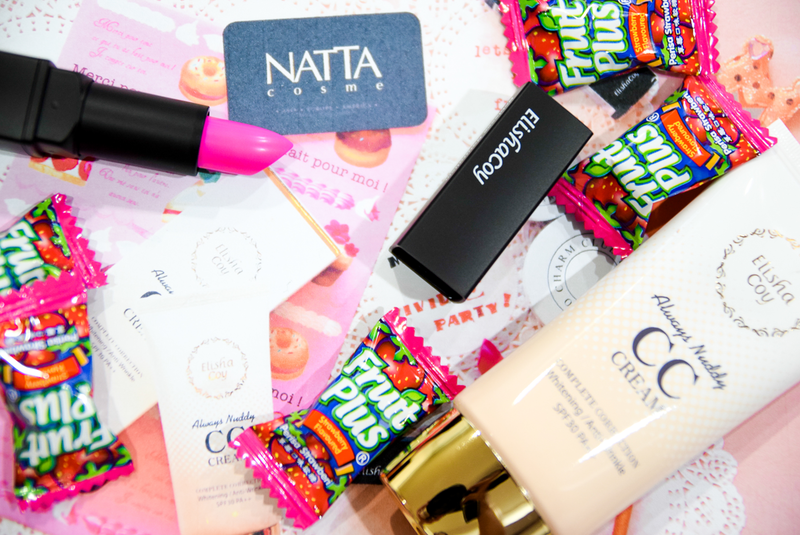 Chock full with strawberry treats, the box held two of the latest additions in the Natta Cosme line; that was two Korean products by ElishaCoy which was just as sweet as how it was packaged to be. Now onto the products. First up is The ElishaCoy Vivid Party Magic Lipstick in Very Strawberry. 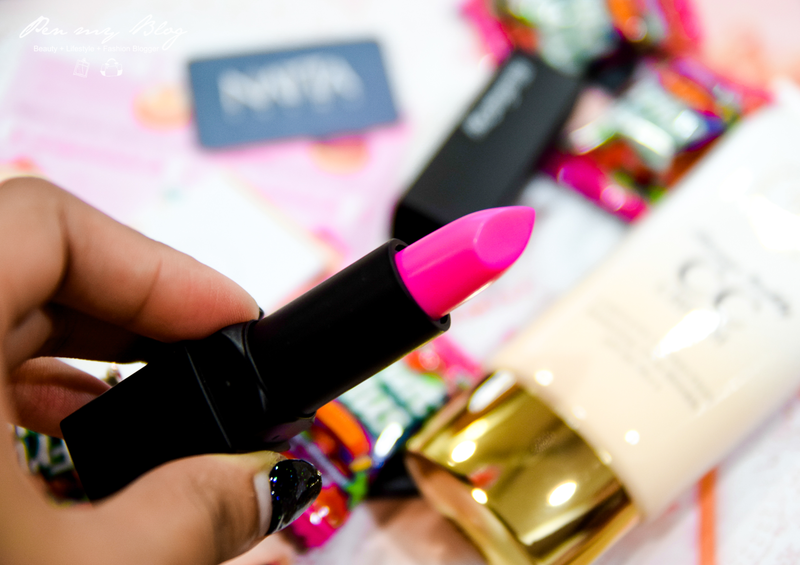 Packaged into a light black casing; this lipstick sort of reminded me of the MAC Satin in Pink Nouveau upon the first look. Application wise however was a slightly different story. 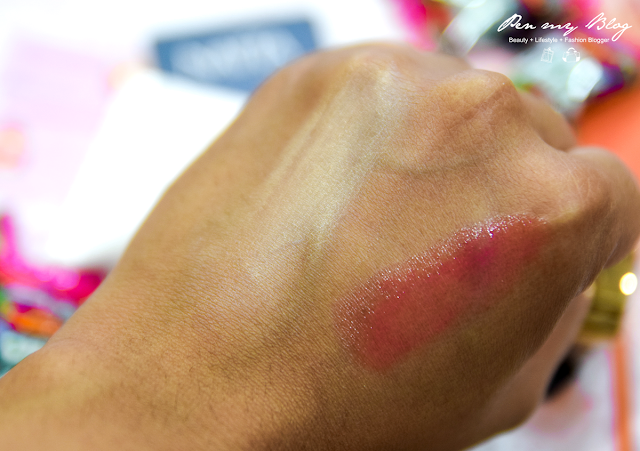 You see, even though the lipstick had a rather vibrant shade; its swatch was the complete opposite. The packaging states that it is a 7 in 1 multi lip care which acts as a primer, lip balm, lip tint, lipstick, lip liner and ultraviolet screening however I find that it was more of a primer and a lip tint than anything else. 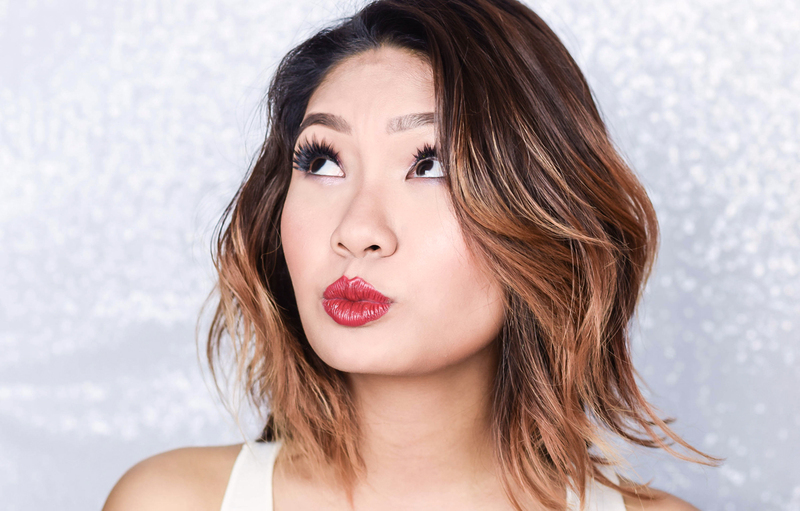 The lipstick is very sheer but an interesting aspect of it is that it is a changing reversal lipstick; which builds to blend to the color and warmth of your lips. So basically if you would want to make your lips look natural; you can touch it up twice or three times; however if you would like to plump it up a little thicker; the trick would be to use it four or five times. The texture is subtle plus the scent is kept sweet and although it has been stated that the color is non transferable; you may need to wait up to 10 minutes for that base to take effect. Cons: Additional color may cling on to the dry areas of your lips, sheer, not so non transferable. Moving on to the CC Cream, this latest one by Elisha Coy caught my attention the moment I swatched it on. I didn't think too much of the packaging, it was nothing fancy to be honest but the texture within is really something to talk about. Being quite used to tinted CC Creams, I was a little surprised to find that this particular one didnt have the usual brownish tint but instead was pure white with a slight hint of pink beige undertones. I was suspecting that it was going to look a little too fair on my skin but a dewy veil took over the base instead. It felt a little gritty while blending it out though but this was because of its hydrating texture slowly transitioning to a powdery finish. Suitable for dry and oily tones; I would highly recommend that the best way to use this CC Cream is to mix in both CC and BB creams at an 1 : 3 ratio so you would get a higher coverage if used on a day out. It does have SPF30 PA++ which is great for UV protect but as mentioned, if you would like a fuller coverage on the face combined with a dewy glow; it would be best to apply it following the ratio stated earlier. If you are wondering why I haven't stated the price for both yet; it is because ElishaCoy is currently having a promotion on Natta Cosme. Basically a limited edition five piece promotion set, packed with three 50g ElishaCoy Always Nuddy CC Creams, two Vivid Party Magic Lipsticks; one in Green Apple and another in Very Strawberry is now going for RM249 instead of its retail of RM446. Talk about a epic price slash. However if you are looking to get the CC Cream alone, there is one for that too retailing at RM129 for a 50g bottle. So for more information on Elisha Coy, you can head over to Natta Cosme's Official Website and their Facebook Page for further details.